I’ve lived in Portland on-and-off for almost a decade. During that time, Portland, Oregon single-handedly started the bean-to-cup coffee revolution, popularized Northern Thai food, and brought food carts into the mainstream. 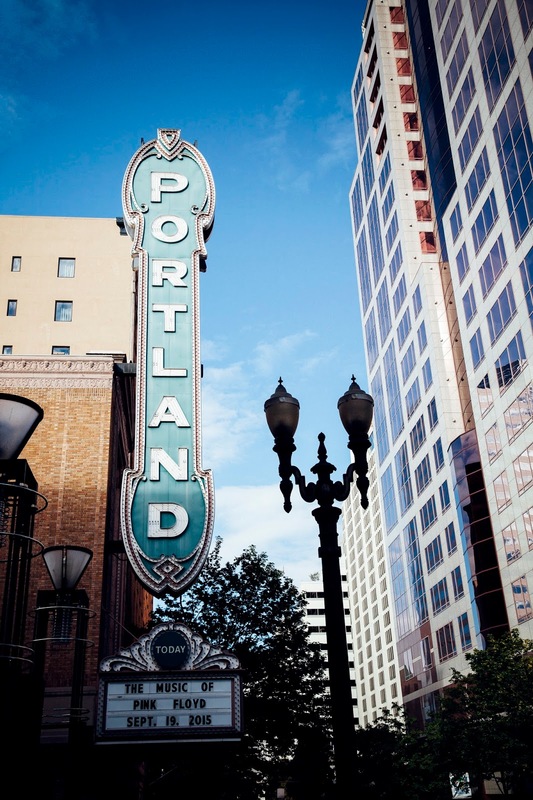 Portland transformed from a sleepy, unsophisticated town with a handful of espresso machines to something else completely. These days, the city has a world class food scene that attracts some of the most renowned chefs from around the country. In case you couldn’t tell, I love Portland. It’s where I learned to love food the way that I do, and for that, I’m forever indebted to the city for helping define my tastes and high standards. So without further ado, here’s a culinary guide to my fair city, to the restaurants, dishes, and people who taught me what good food really, truly, is. It’s by no means complete — there are plenty of places that have come and gone, more that I wish to include in future lists, and many that I have yet to try — but it’s a start. To this day, I measure every donut I eat against Coco Donuts. Their donuts are classic, with simple flavors and glazes that don’t rely on gimmicky flavors or toppings. Their raised donuts are so light and airy that I could eat five in a sitting. They set the standard for yeasted donut dough. ORDER: a raised glazed donut, a raised lavender glazed donut (which is the perfect balance of sweet and floral), and the best old fashioned glazed donut you will ever have. Everything in this bakery is fresh and delicious. The pastries and sweets are solid (but a little on the small side). The bread never disappoints. When I lived in the neighborhood, I bought a loaf for my dinner table almost every week. ORDER: For breakfast, a pistachio bear paw and/or whatever seasonal fruit danish they’re offering with your coffee. Choose from their selection of daily breads to take home for sandwiches and sides (I highly recommend the pretzel loaf). For lunch, try the Italian salami sandwich, the Ploughman’s Lunch, or ham and cheese on pretzel. 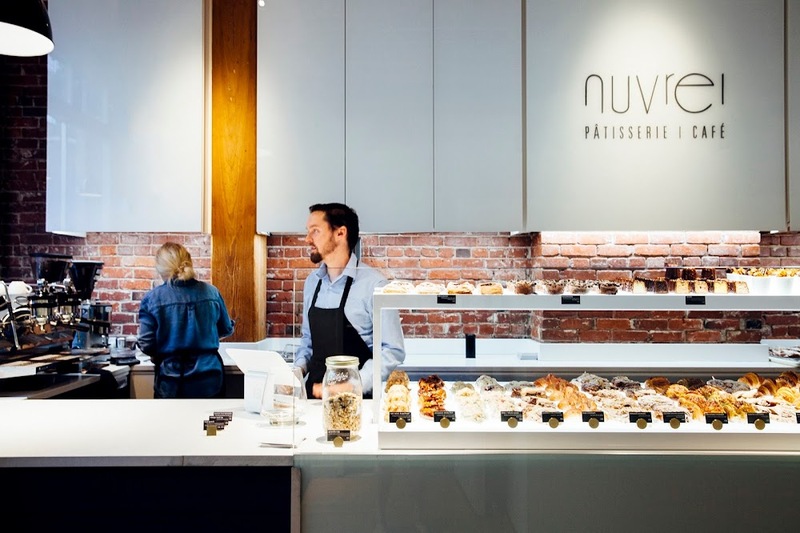 In my opinion, Nuvrei is the best bakery in Portland — almost every pastry that I’ve had from Nuvrei has been phenomenal. Anything made with their laminated dough is simply outstanding. Plus, they’re the only bakery in the country that has a direct relationship with the highly-esteemed french chocolate company, Valrhona. That’s how you know it’s really good stuff. 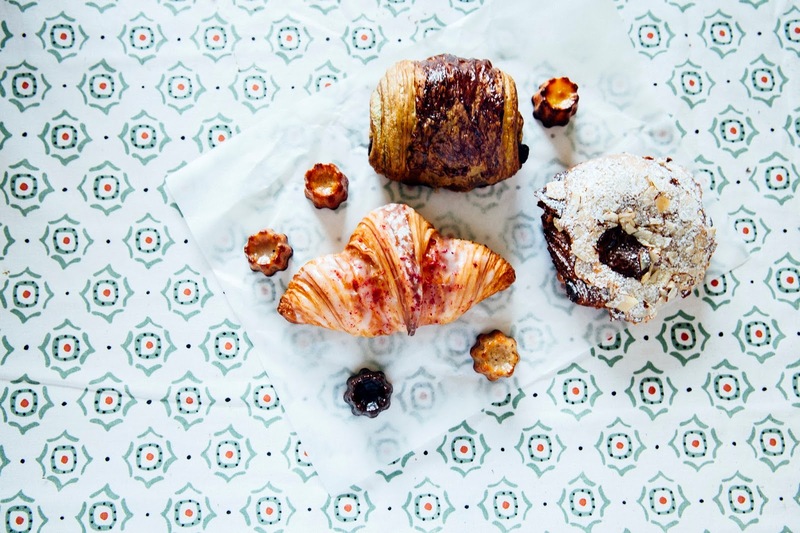 ORDER: a rose croissant, chocolate almond croissant (the best I’ve ever had anywhere, including London and Paris, period), and a sesame thyme croissant. Also delicious: their double chocolate flourless cookies that are so chocolatey and fudgy, it’s almost like eating a brownie. And be sure to ask about their “secret” macaron bar downstairs. SKIP: Nuvrei likes to tout their mini caneles, claiming that they are the only bakery in the country to offer flavored caneles. That may be the case, but their caneles don’t shine quite as brightly as everything I listed above. Skip those calories and get an extra croissant or double chocolate cookie instead. Mini donuts aren’t my favorite thing (because why get them mini when you can have a regular sized one? Serious question), but if you’re gonna get them from anywhere, get them from Pip’s. 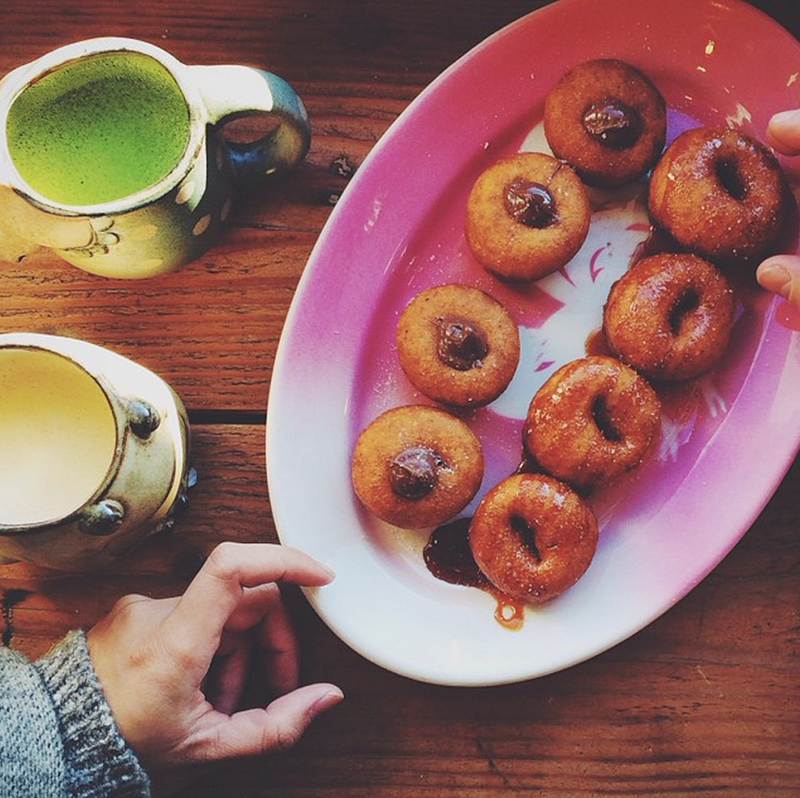 These donuts are an homage to Midwestern fair food, and are even made with a donut machine! I like the one topped with Nutella best, but people rave about the classic cinnamon sugar and the honey sea salt. Voodoo Doughnuts is such a Portland institution that it was a big deal when I first got to the city 10 years ago. The donuts are (sometimes) good when they’re fresh, and people love the gimmicky toppings like bacon, candy, cereal, and Kool-Aid powder. But to me it represents the Portland of yesteryear and the bakery simply hasn’t caught up to the high quality food the city offers now. Don’t let the long line fool you — it’s usually filled with a mix of tourists who don’t know any better and teens from the faraway suburbs. Similarly, Blue Star Donuts relies on the same gimmicks as Voodoo, but instead aims for the moneyed, yuppie crowd that has infiltrated the city over the last few years. Instead of adornments like M&Ms and Captain Crunch, Blue Star opts for elevated ones like cacao nibs and hibiscus, as well as combinations like blueberry, bourbon, and basil. Unfortunately, Blue Star’s base dough is terrible — dry, dense, and pockmarked with giant air pockets, their donuts can be as inconsistent and stale as Voodoo’s. Some of the glazes are oddly flavorless (I’m looking at you, raspberry hibiscus). And yes, everything I’ve said just now is very much an unpopular opinion, but I’m sticking with it. 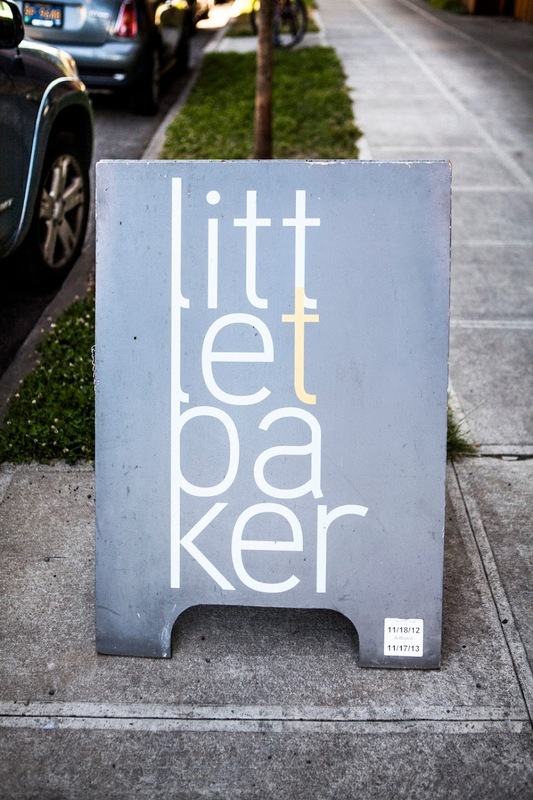 It’s rare to hear me say this, but don’t go to this bakery for their pastries. Instead, focus all your attention on their impeccable savory breakfast menu. They offer a wide range of high quality breads topped with avocado, scrambled eggs, and more. The only downside is that the menu switches over at 11:30AM, when really, these plates deserve to be offered all day. ORDER: The everything bun with a steamed duck egg and aged cheddar, accompanied with a hashbrown on the side, is one of my favorite breakfasts. Also delicious: any of the toasts (I’m partial to ones topped with avocado, salmon, or cheesy scrambled eggs). I hate waiting in line for food, and I hate waiting in line for brunch even more. There are only a handful of places that I’m willing to wait for, and both Tasty restaurants make that list (though I’m warning you now — that wait can be brutal, especially at Tasty N’ Sons). 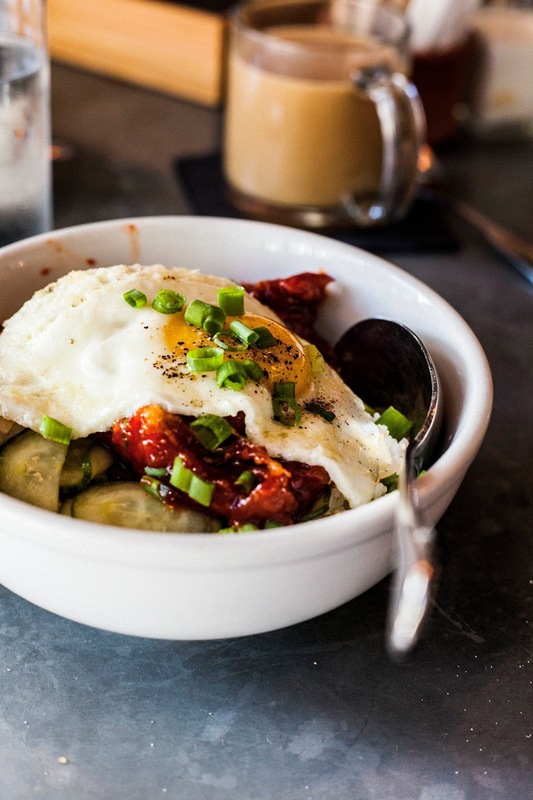 Their small-plate brunch offerings are unique and serve a variety of dishes like Korean fried chicken and Burmese red pork stew that you don’t traditionally see on most brunch menus. ORDER: the chocolate potato donut, maple ‘n’ cumin glazed yams, the bambino plate, Burmese red pork stew (Tasty N' Sons only), Korean fried chicken bowl (Tasty N' Alder only), or any of their breakfast boards. If the idea of a non-traditional lunch excites you but you don’t want to wait for 2 freaking hours, I highly recommend checking out Levant instead. When I left, Levant’s brunch was still fairly undiscovered and didn’t have the crazy wait times of the other places — plus, they take reservations! 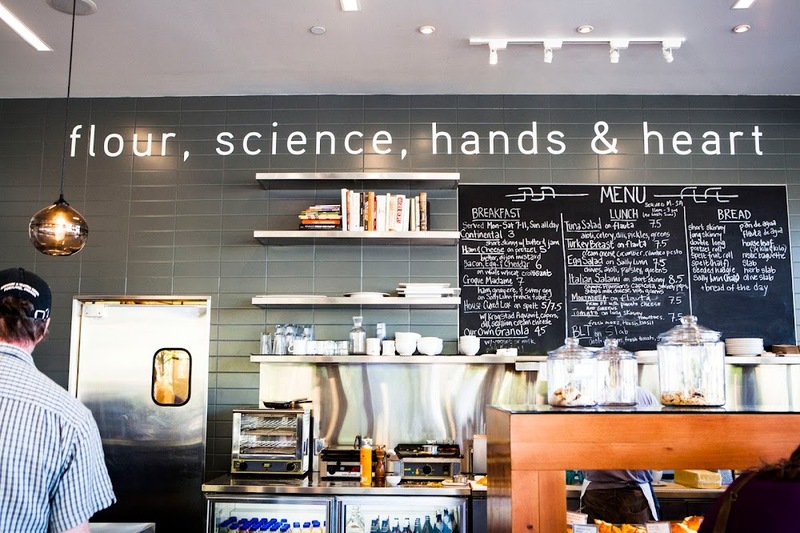 As for the menu, Levant is a Middle Eastern restaurant that’s heavily influenced by Pacific Northwest cuisine (or maybe it’s the other way around), and serves up fusion-y brunch dishes like tomatillo green shakshuka, Persian omelettes, and halva and pistachio rolled pastries. ORDER: start with a halva croissant and lemon pistachio spiced roll as pastry appetizers; make your main the green shakshuka with a side of hummus. 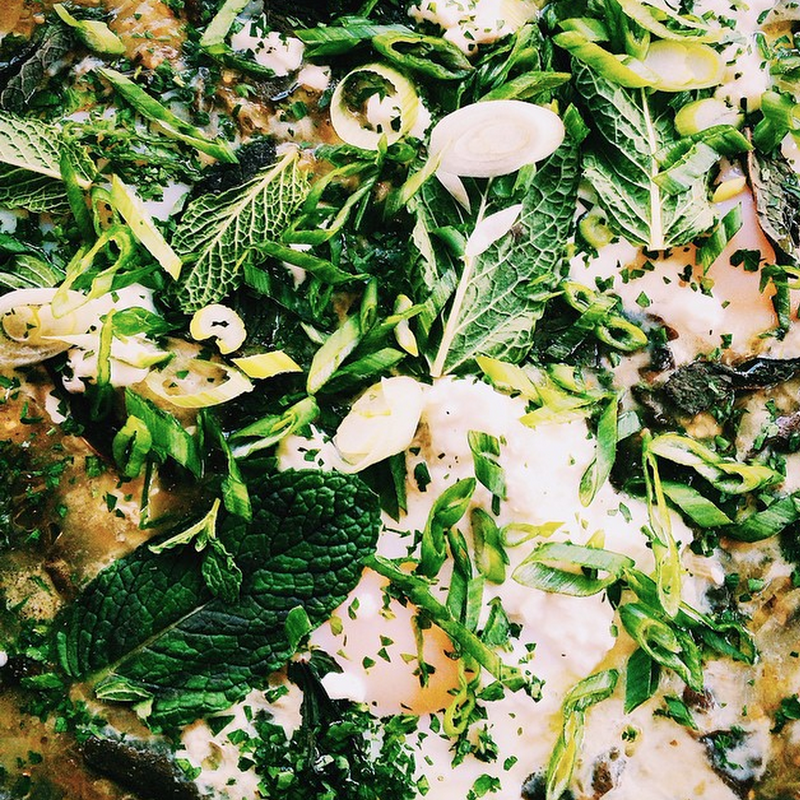 But seriously though — don’t go anywhere without ordering that green shakshuka. It’ll change your life. If the idea of kimchee and hummus for brunch scares you, stick to The Country Cat. The Country Cat offers the best traditional brunch in town. It’s a little further out from the city center than most places on this list, but it’s worth the drive for their eggs Benedict alone. In place of serving the eggs on English muffins, The Country Cat opts for handmade biscuits instead. It’s perfect. ORDER: salmon eggs Benedict and a plate of their onion rings with housemade ketchup. You won’t regret it. Epic fried chicken and biscuit sandwiches with an unruly wait. Pro-tip: go for Happy Hour over in the NE Alberta neighborhood, where they offer almost all the same sandwiches at a discounted price and almost no wait. I like the Reggie and the McIsley, and their hashbrowns are not to be ignored. The Screen Door is incredibly beloved in the city, and I know that it’s probably a bad PR move on my part to tell you to skip it. But their lines are some of the longest in the city (think: at least an hour, sometimes bordering on 2 to 3… eek), and I’ve always found that the food, while good, just can’t justify taking up half my day. Also, their famous chicken and waffles uses boneless chicken breasts… what gives???! But fine – if you insist on experiencing this place, pro-tip: get a group of 6 or more together and make a reservation. 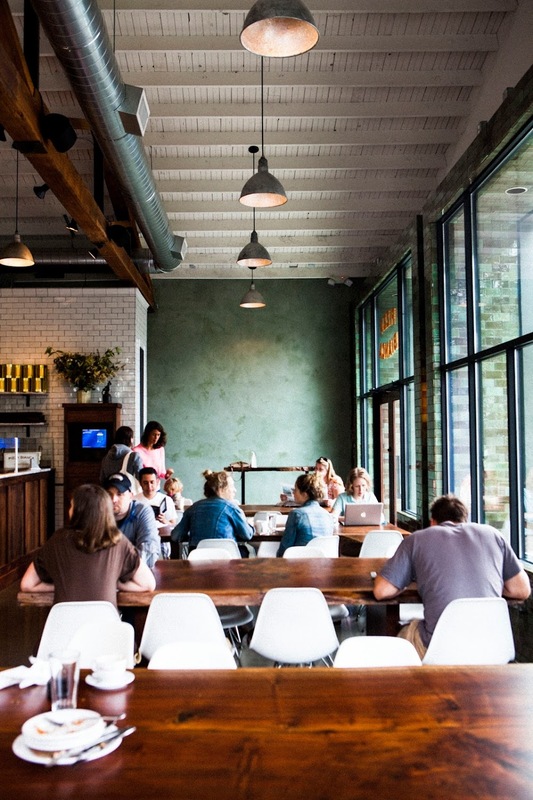 I never understood what the fuss was about when it came to sandwiches… until I had a sandwich at Bunk. Bunk consistently offers some of the best sandwiches I’ve ever had — almost all are salty, decadent, and umami wonders. Be warned; you will likely want to nap after one. 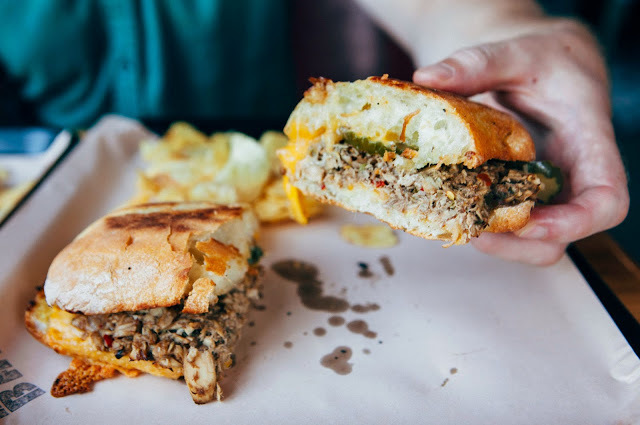 ORDER: the oregon albacore tuna melt, italian cured meats, pulled pork, or pork belly cubano. If you can handle a side of salt with your main course, check out the mole tatertots. Don’t let its divey, hole-in-the-wall vibe fool you; Killer Burger, despite all its grunge, serves what I consider to be the best burgers in the city. Sure, they have some gimmicky ones that come with cutesy, cheesy names and/or ingredients like peanut butter with pickles. But ignore all that and just go for the classic Killer Burger. With its hearty bun and perfectly cooked beef and toppings, you’ll literally, actually find yourself a killer burger. Plus, bottomless fries with every order! ORDER: the Killer Burger, duh. Portland, ever the non-conformist, does fast food better than any other city in the country. Little Big Burger is so good that it actually ruined beloved chains like In-N-Out, Shake Shack, Super Duper, and Five Guys for me. Nothing will ever be as good as Little Big Burger. Everything about this chain is small but mighty, with a bare-bones menu that just offers 3 different burgers (ham/cheese/veggie) and truffle oil fries. And yes, the burgers are kinda little. But it’s all outstanding. Really. ORDER: cheeseburger with cheddar with a side truffle oil fries. Be sure to use the bottles of the housemade (and ever-so-slightly spicy) ketchup and the strangely addicting fry sauce. Before Little Big Burger, there was Burgerville. Burgerville is more similar to traditional fast food chains than the other burger places I mentioned above, but with a twist — almost all their ingredients are locally-sourced from the Pacific Northwest. In addition to the standard menu, they rotate several menu items (almost all of which have very devoted cult followings) based on what’s in season. 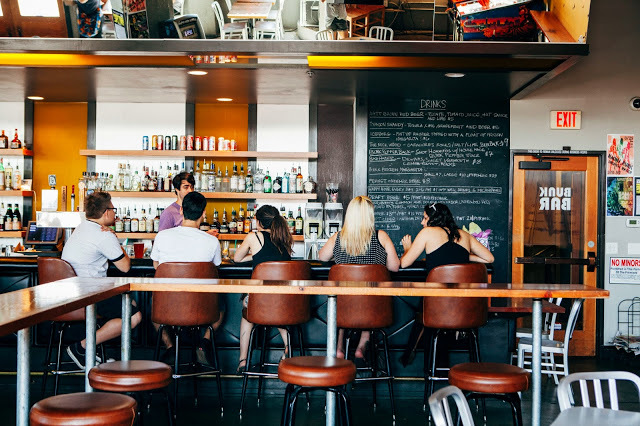 Think: Oregon marionberry milkshakes, rosemary shoestring fries topped with Jacobsen sea salt, and giant onion rings with onions sourced from Walla Walla, Washington. 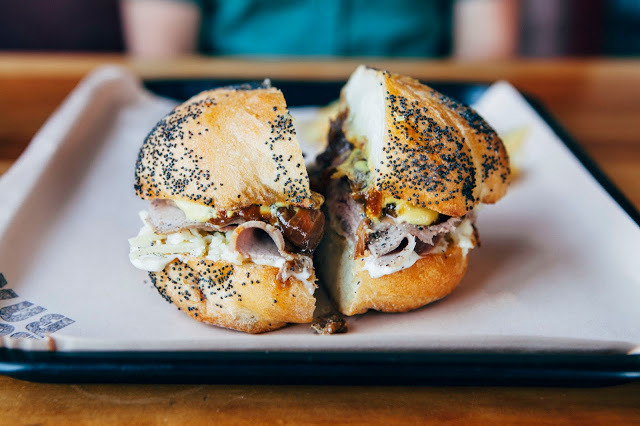 Lardo is Bunk’s biggest competitor, and most Portlanders pick their sandwich team and stick with it. 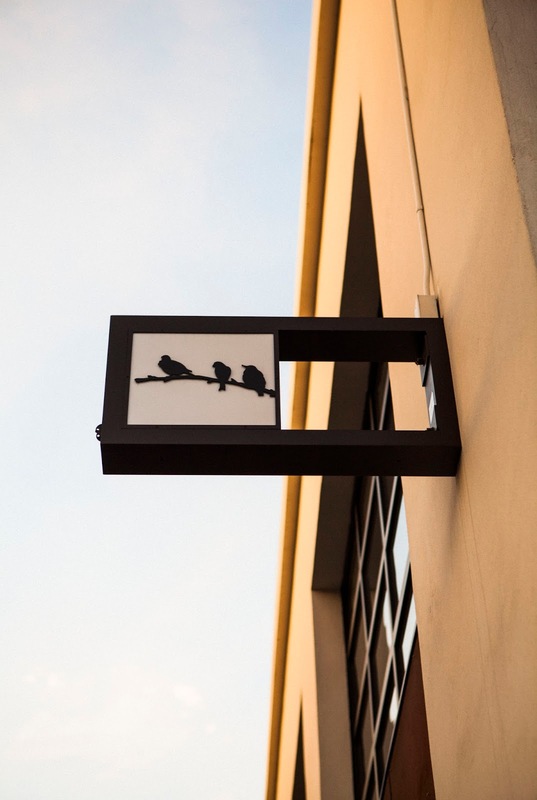 While Lardo is fine, I think that their sandwiches are, well, too much (and I mean, if you’re reading this entire thing and have gotten this far, you know that my bar for too much is already pretty up there). Often times, their sandwiches lack some sort of acidic ingredients to balance out all that fatty meat and mayo. I’m just not a fan. As much as I love Portland, there are a handful of cuisines that the city just doesn’t do all that well. Portland has zero Burmese restaurants, a fledgling number of Korean restaurants in the suburbs, and what little Indian food there was in the city was pretty abysmal… until Bollywood Theater came along. Even still, Bollywood Theater plays like Levant — Indian food heavily influenced by the Pacific Northwest and vice versa. But it’s worth checking out, because it turns out those flavors play very well together. 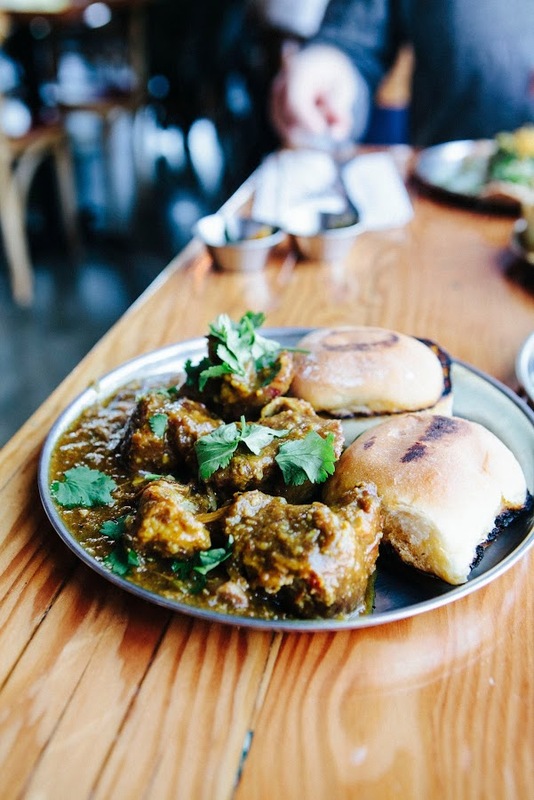 ORDER: Goan pork vindaloo with a side of okra. If the Gobi Manchurian or the butternut squash is a special, get that too. Boom. A great lunchtime spot offering salty, delicious bowls of freshly handmade pasta with seasonal ingredients. What more do you want? ORDER: Anything. I haven’t had a bad bowl of pasta here yet. Their seasonal bowls are especially great in the spring and summertime. Also, their fritto misto is pretty boss. Portland’s food carts have a reputation for being diverse and ubiquitous throughout the city, but I’d say about that the majority are forgettable and that there’s only a handful of them that are actually worth a repeat visit. Mama Chow’s, which offers a menu that’s a fusion between Southeast Asian and Hawaiian), is one of the few standouts. ORDER: lollipop chicken, garlic noodles with kahlua pork, chicken dumplings, wonton soup. Okay, that’s pretty much their entire menu except the tofu (which, let’s be honest, is also pretty good for tofu). But therein lies the secret of any good food cart: do a few things really, really well. 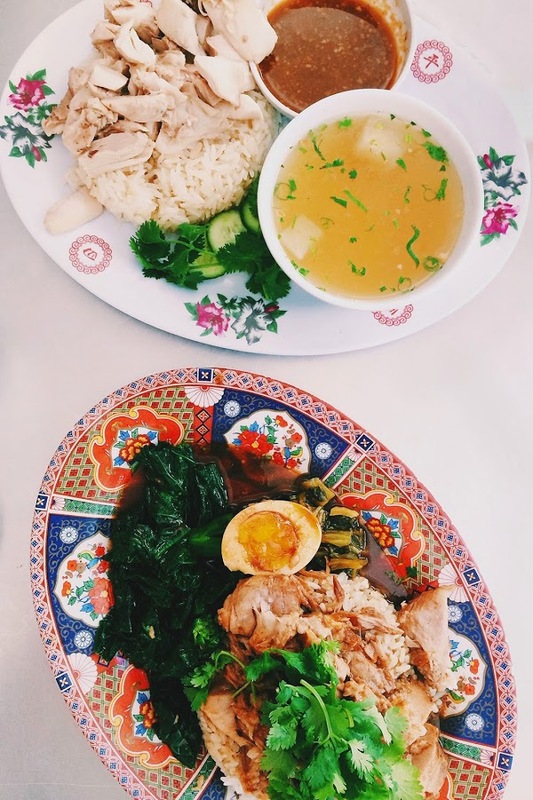 Nong’s Khao Man Gai started out as a food cart that specialized in one dish, and one dish alone: khao man gai, or, the Thai version of Hainese chicken rice. The dish is the very definition of comfort food — simple, but hearty and delicious. Nong’s has since opened a brick-and-mortar on the east side of the city, which I much prefer due to their (slightly) wider range of menu items. Although they’re many come for the namesake chicken and rice dish, I can’t get enough of the khao kha muu (pork and rice). Braised in a mixture of vinegar, cocoa powder, and soy sauce, it strikes the perfect balance of umami and sweetness. ORDER: chicken and rice (khao man gai) or, if you want to think outside the box, pork and rice (khao kha muu). And definitely get a side order of crispy chicken skin. We won’t judge you. Teote doesn’t get a whole love from the food press, but locals love this colorful, casual Latin American restaurant. Teote specializes in serving Venezuelan arepas with a side of meat. Often the meat is slow-cooked, resulting in juicy, tender braises that compliment the buttery arepas beyond imagination. The restaurant itself is also a pretty neat space — be sure to check out the fire pit in the backyard! 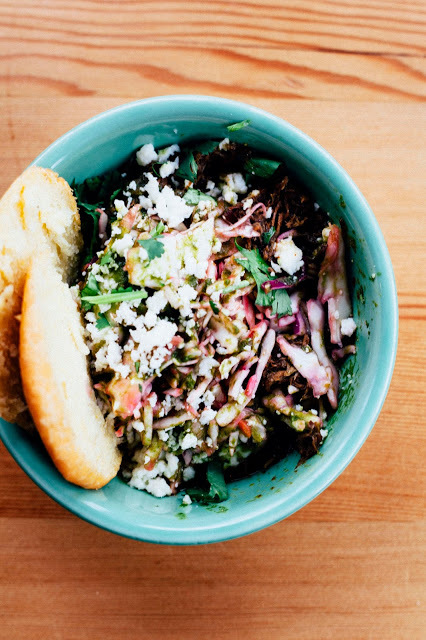 ORDER: any one of their arepa bowls, but my favorites are the El Diablo and Pernil. Get the fried plantains if they’re ripe (they have a meter at the cashier indicating ripeness!) and one of their refreshing agua frescas. How do I even begin to describe Ava Gene’s? 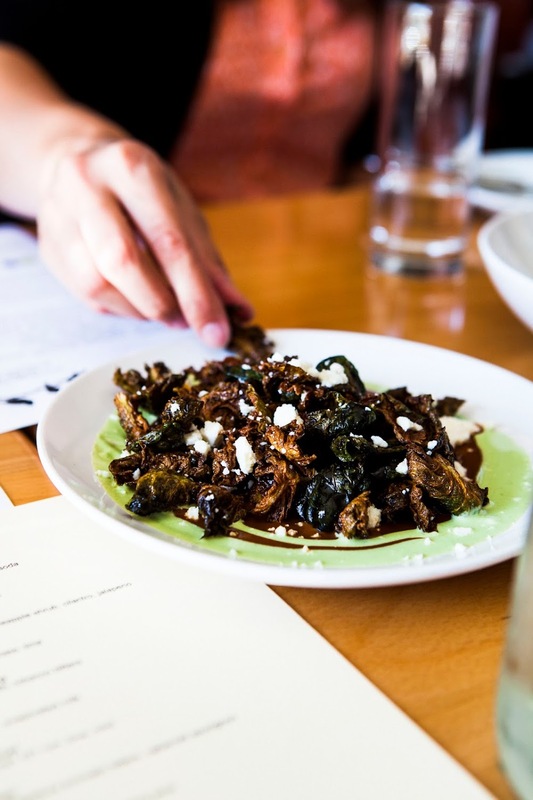 Similar to Bollywood Theater and Levant, it takes an other, regional, worldly cuisine (Italian, in this case) and infuses it with a whole bunch of Pacific Northwest. Although there’s a small and noble section of the menu filled with handmade pastas, that, while delicious, are not really the star of the show. Instead, focus on their pane (bread) and giardini (garden section) of the menu, which offers tartines and roasted offerings of whatever’s in season. It sounds boring and simple, but it’s anything but. If there’s a mandatory restaurant on this list, Ava Gene’s is it. Reservations can be tricky to get, and have to be made far in advance. Alternatively, you can do a walk-in but you’ll likely only get a seat at the bar (if you’re lucky). But still, go, go, go — I promise you that you’ll never have any dining experience quite like it. ORDER: Get one thing from every section of the menu and share it, family style. The best parts of the menu are definitely the Fritti, Pane, and Giardini though — be sure to get multiple items from those sections. They also used to have a great deal where you could get three plates from the Giardini section for a discounted price; be sure to ask if that’s still around! Aviary’s another odd bird that’s difficult to describe in terms of the cuisine it offers. 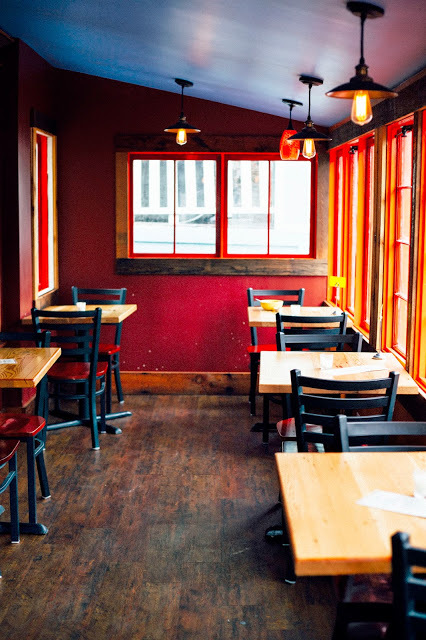 It’s definitely an Asian-fusion restaurant, with almost all its seasonal, Pacific Northwest-oriented dishes heavily influenced by Japanese cuisine. But who really cares? All I know is that almost every meal I’ve had at Aviary is phenomenal. ORDER: Their menu rotates with the seasons fairly frequently, but they have a couple of standout signatures that never go away. In particular, it’s worth ordering the Japanese eggplant, tempura green beans, and crispy pig ear. 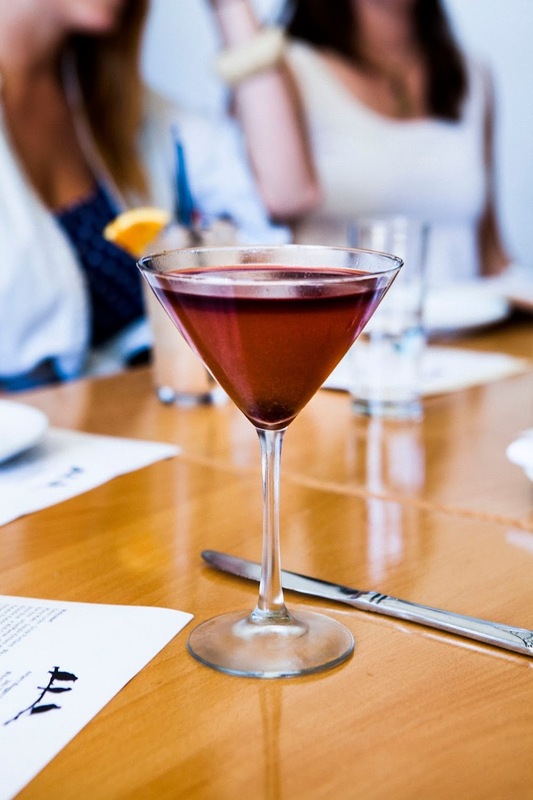 Their cocktail program and happy hour menu is also pretty great (get the tempura green beans on the cheap, along with some incredibly addictive brussel sprout nachos). Biwa is an izakaya, a Japanese drinking tavern that offers salty snacks like grilled meats and fried food along with your alcohol. I’ve never found their drinks game to be particularly strong (they primarily offer sake and soju), but their food game is pretty on point. They serve some of my favorite oysters in the city, and I’ve loved every single skewer I’ve ever ordered. ORDER: their omakase is a great deal, and allows you to try a ton of different items from each section of the menu. If you’re ordering a la carte, I recommend the grilled mackerel, the pickled mackerel (though I’m not sure if this is still around, sadly), any of their skewers, and the isobeyaki. If you’re vegetarian, this isn’t the place for you — their menu is sparse on the vegetables. Also, their noodle bowls are fine, but not the best in the city; stick with the grilled meats. Portland is a BIG pizza town, and we’re lucky to have several artisan, fire oven baked pizza places to choose from (Ken’s, PREAM, Apizza Scholl’s, etc). I’ve chosen Ken’s Artisan as my team though. Ken’s has more specialties than the other two pizza places I mentioned, and also has a great bakery (with its own cookbook!) on the other side of town that offers incredible levains and loaves. He also has an incredible roasted vegetable platter (whose offerings, of course, change depending on the season) and solid wine menu that I can’t get enough of. ORDER: Any of the pizzas are great, but my regular order tended to be the bacon (seriously, how do they get that bacon so freakin’ CRISPY?!) topped with fresh arugula. Get the vegetable platter too, and they offer free bread and olive oil (by request, insider’s trick) which allows you to taste some of Ken’s amazing loaves. At this point, who hasn’t heard of this famous Thai restaurant? 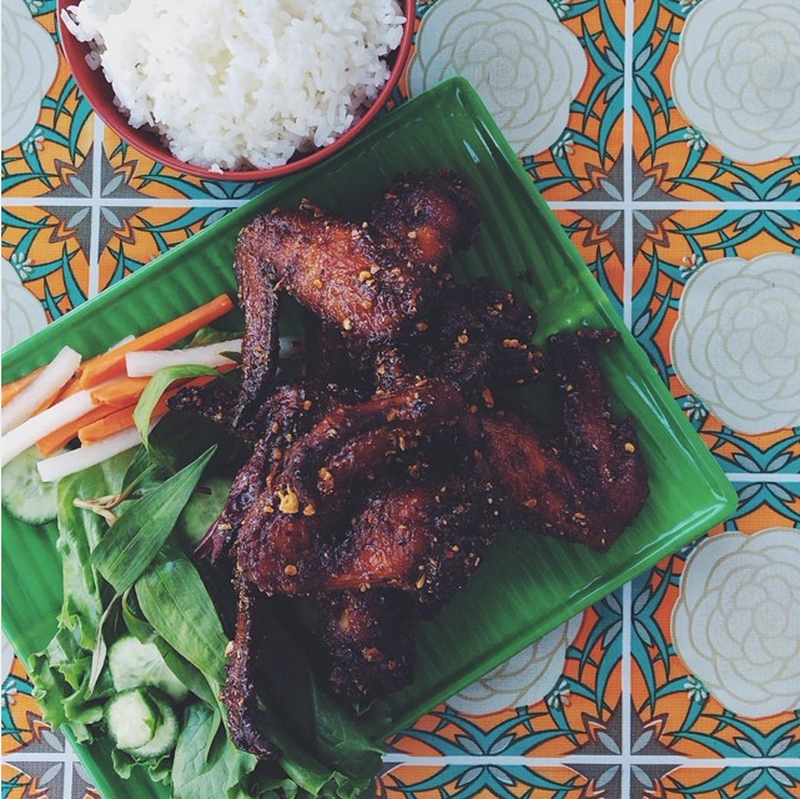 Pok Pok was the restaurant that revolutionized Portland’s dining scene, placing our relatively unknown city onto the culinary map and encouraging all the others to flock over. You can also experience Pok Pok in New York City (whose New York outpost actually has a Michelin star, how crazy is that? 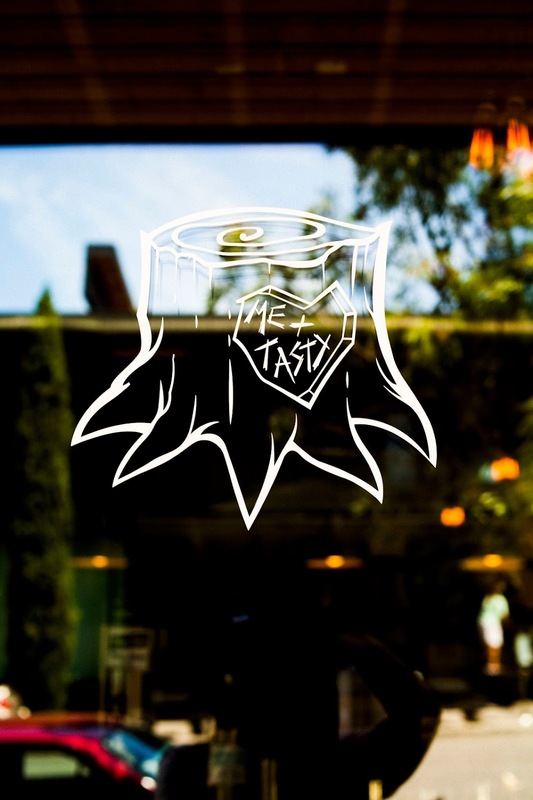 ), but since you’re in Portland, be sure to make a mecca to the original location on SE Division. The wait will likely be long (in fact, it’s so long that they actually opened a bar across the street to send people to while they wait, thus making money off people as they wait in line, lol). Reservations are only available for big groups, and hard to make. But despite all this, believe me, it’s actually worth it. ORDER: You won’t find any noodles or pad thai here, nope, and that’s a good thing. Instead, order the kai yang (an incredibly moist and juicy roasted game hen with two incredibly addicting dipping sauces), their world-famous Ike’s Vietnamese fish sauce wings (order them spicy; it’s not too spicy and their non-spicy option isn’t quite as stellar), het paa naam tok (an earthy and incredibly umami mushroom salad), hoi thawt (Andy’s homage to the oyster omelettes often found in street food stalls in Thailand), kaeng hang leh (an almost Burmese pork shoulder curry that I love, love, love), muu paa kham waan (spicy boar collar – GET IT, you won’t ever have had anything like it), cha ca la vong (fried catfish with a turmeric noodle salads — one of the best and frequently looked over dishes on their menu), khao soi (chicken curry noodle soup). They also have a water spinach stir-fry that rotates in and out of the menu that’s worth a shoutout. And good lord, I pretty much listed half the menu just then, didn’t I? Cheese and Crack is a charcuterie that specializes in pairing great beer with an even greater charcuterie and cheese board. 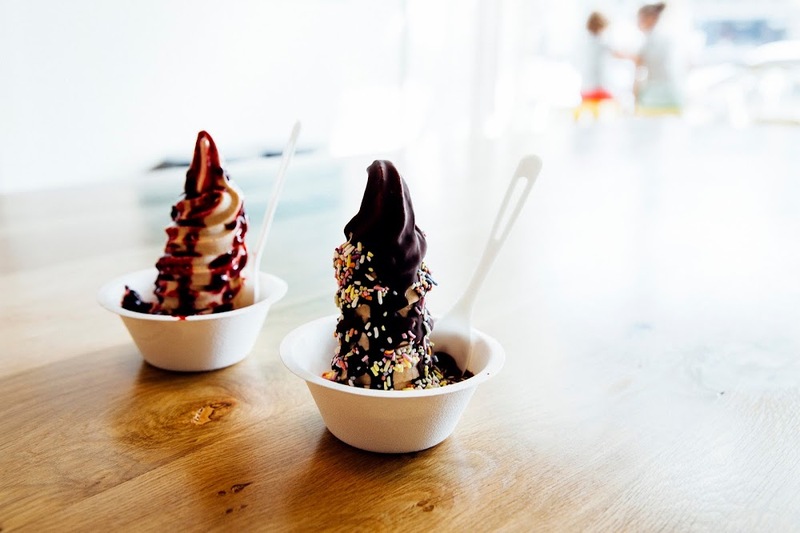 Plus, they have a soft serve machine and come up with seasonal sundaes like s’mores and birthday cake! It’s a great little neighborhood spot that doesn’t show up on the big lists, but I have a lot of love for this place and spent many hours here having great conversations with friends. 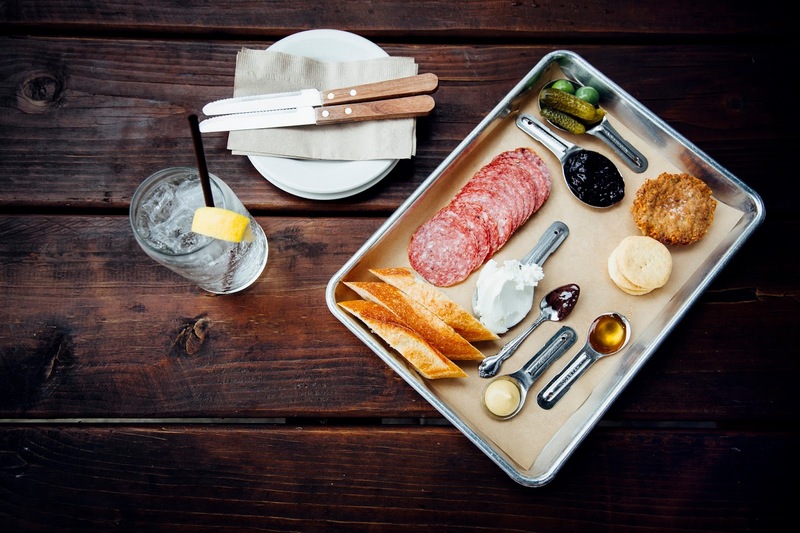 ORDER: any charcuterie board (they all come adorably arranged on quarter sheet pans, a good beer or cider, and whatever seasonal sundae they have. Conversely, Olympia Provisions is Cheese and Crack’s more famous and more glamorous older sibling. Olympia Provisions was one of the country’s first mom-and-pop small batch charcuteries, deviating away from European curing methods and pioneering their own. 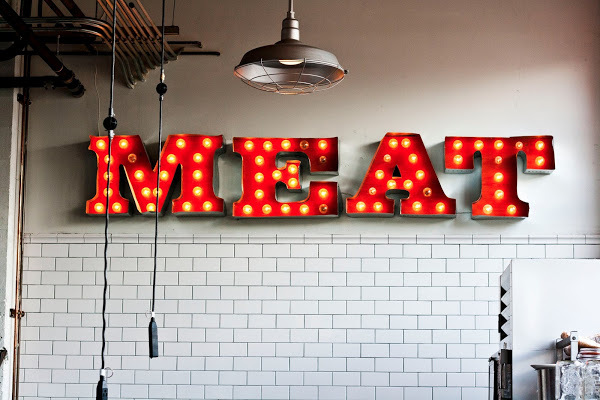 Their meats are the perfect balance between a little bit salty, a little bit sweet, and a whole lot of addicting. ORDER: any charcuterie board (though I like the Spanish for that greasy chorizo because I’m gross like that). For lunch, I’m a big fan of their frankfurter sandwich (think: your classic stadium hot dog sandwich, all classed up). For brunch, their Eggs benedict is pretty solid, and they occasionally have this asparagus tartine special that one of my friends raves about anytime I bring this place up. 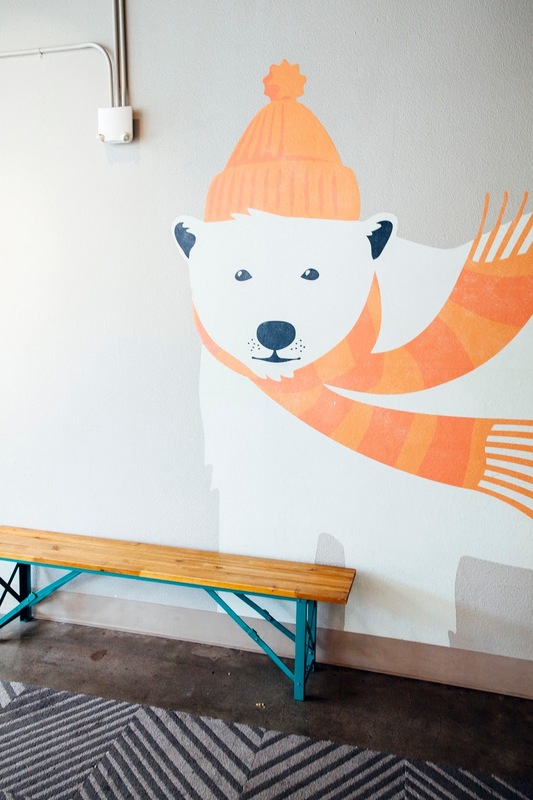 It took Portland a few years to catch up to the froyo craze of yesteryear, but the wait was worth it. Because Portland’s contribution comes in the form of Eb + Bean, a neighborhood froyo shop that specializes in seasonal flavors, made with ingredients that are locally sourced from organic farmers and purveyors around the Portland area. 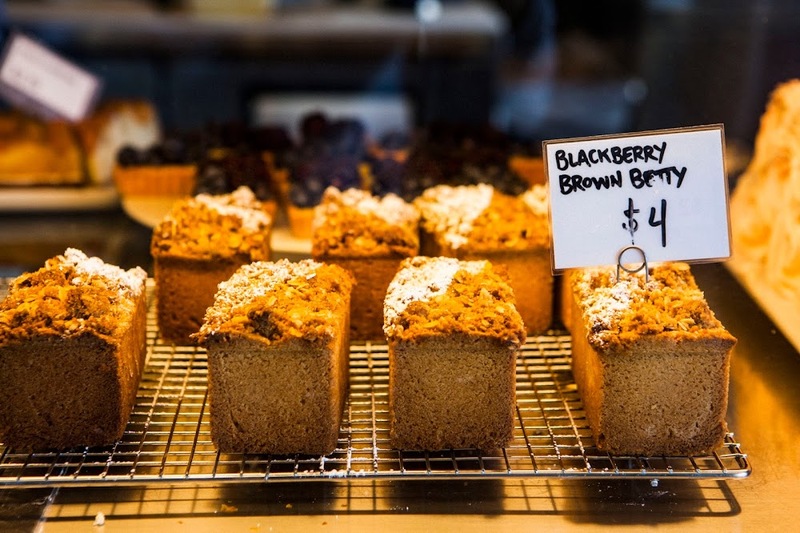 Even toppings like cookie crumbles and graham crackers come from a bakery just up the street. I love it. ORDER: whatever seasonal flavor they have. I’m particularly fond of the Lady Grey (Earl Grey tea and caramel, swoon), mango lassi, their seasonal summer berry flavors, and whatever non-dairy yogurt they provide (usually made from alternatives like hazelnut or almond milk). For toppings, I always opt for the housemade chocolate magic shell and the naturally colored sprinkles. Farina Bakery makes the best macarons in town, period. 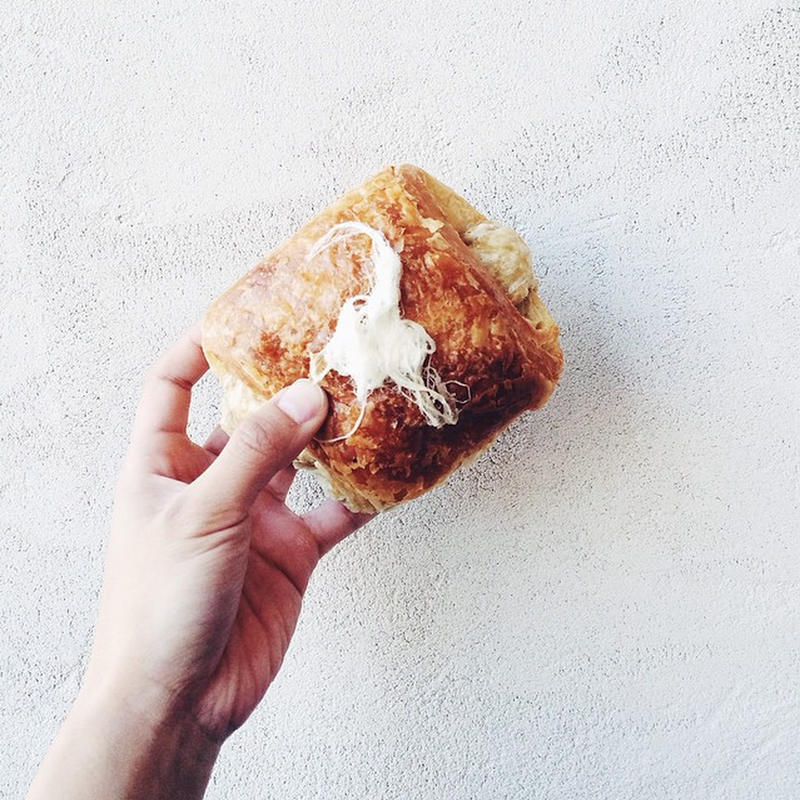 I’ve had my fair share of macarons (including all the critically acclaimed ones from Laduree, Bouchon Bakery, Per Se, and more) and I confidently say that Farina Bakery is of that same caliber, if not greater. 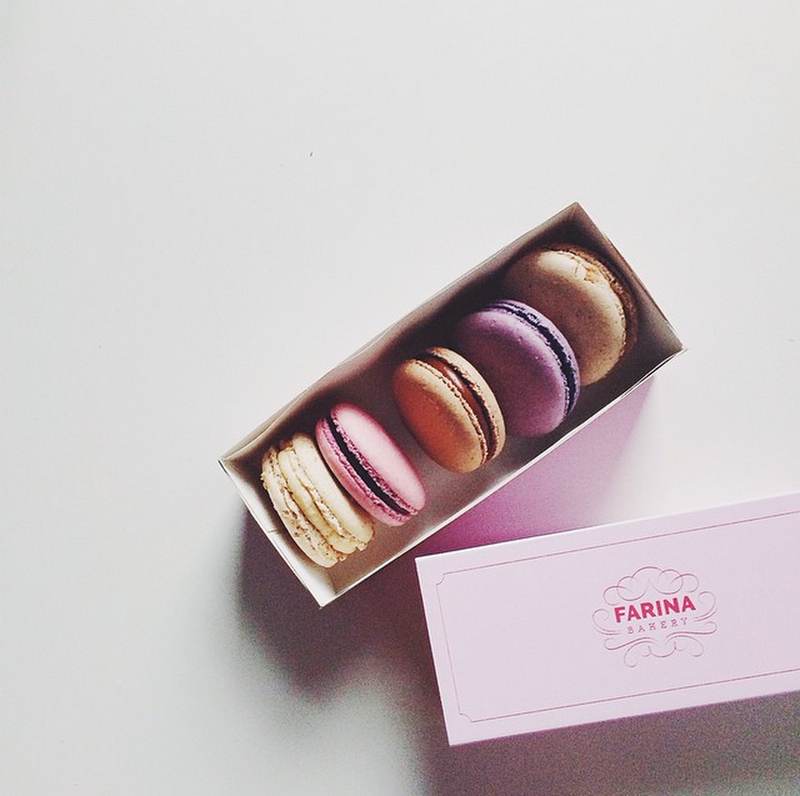 Farina Bakery macarons come in a variety of flavors, and every single one is perfect. Think: a thin, crispy top that easily gives when bitten, beautiful (and not too large) feet, and perfectly chewy in the center with no air bubbles. And at $2 per macaron, they’re quite the steal. ORDER: any macaron you want, duh. I’ll admit it — I was a hater when I first tried Fifty Licks. I thought their flavors were one dimensional, their toppings pretentious, and with small servings for large prices? No, thank you. But sometime between my first critical Yelp review and my updated glowing one, Fifty Licks really, really upped their game. Their ice cream became incredibly creamy, luscious, and beautifully balanced between all the right flavors. And what’s more, every new flavor that comes out becomes even better and better than the others. Even in Portland where the competition for ice cream is deep and cutthroat, with several ice cream makers constantly trying to outdo each other, I proudly declare Fifty Licks as my favorite ice cream shop in town. ORDER: they’ve really perfected all their flavors, but standouts include Blood Orange Creamsicle (you would think that it would be too much, but it’s not, it’s perfect), Toasted Milk (incredibly impressive that they got milk to taste like a honey graham cracker), Salted Caramelized Honey (chunks of caramelized honey in the ice cream — need I say more? ), and Coconut Lemon Saffron (again, with a flavor perfectly balanced between the three ingredients). Be sure to order a scoop of any one of those flavors and get it in their housemade (and usually freshly made) waffle cones. 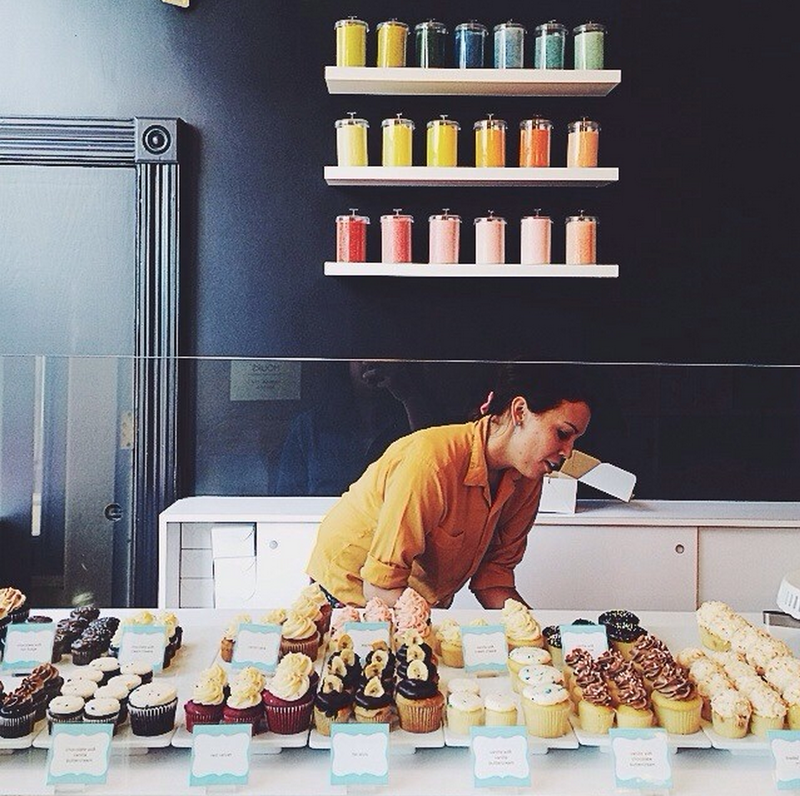 Saint Cupcake is the bakery that ignited my love for cupcakes and cream cheese frosting. Their cupcakes are simple and mostly traditional, offering standards like a yellow cupcake with chocolate buttercream frosting, chocolate paired with cream cheese frosting, and red velvet. Every cupcake is a delightful classic. ORDER: I’m probably in the minority, but I think their cream cheese frosting is far superior to any of the other frostings they offer (which include variations of buttercream and hot fudge). 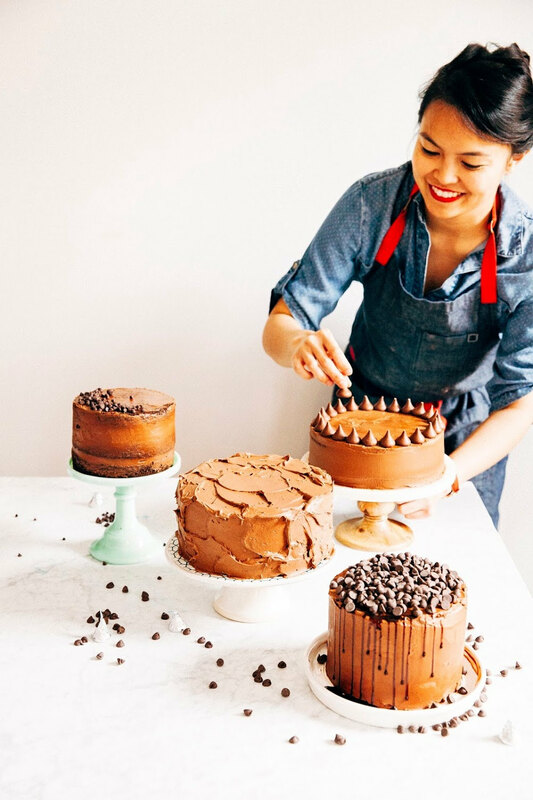 In particular, I’m a fan of their incredibly moist chocolate cake base (I always order a chocolate cupcake with cream cheese frosting) and their incredibly vanilla-y yellow cake base. If you can’t decide between chocolate or vanilla, the Big Top kind of offers the best of both worlds – a yellow cake base studded with mini chocolate chips and topped with cream cheese frosting. SKIP: I’ve always found their red velvet cake too dry, so I recommend you avoid and stick with the chocolate and vanilla. Their seasonal malt ball one also looks appealing, but the malt ball chunks are often soggy and stale — don’t do it. Although most of their other baked goods are also pretty solid, I’ve been burned by a few (some bland brioche buns and a chocolate chip cookie that was too salty and smoky that it tasted like meat, ew). 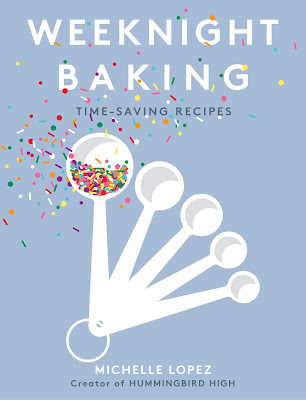 Stick with the cupcakes! 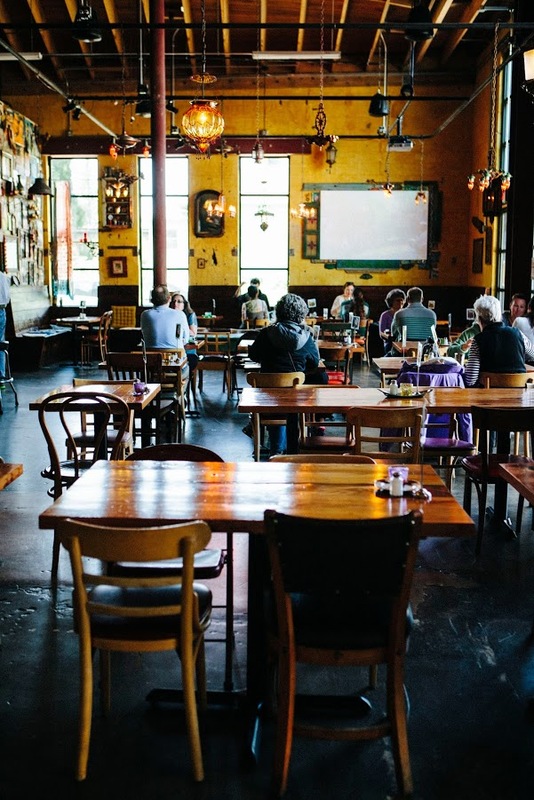 I deliberately left out bars and coffeeshops from this guide because this list was already getting pretty unwieldy; however, I felt it was too much of a disservice to everybody if I didn't include Tea Bar. 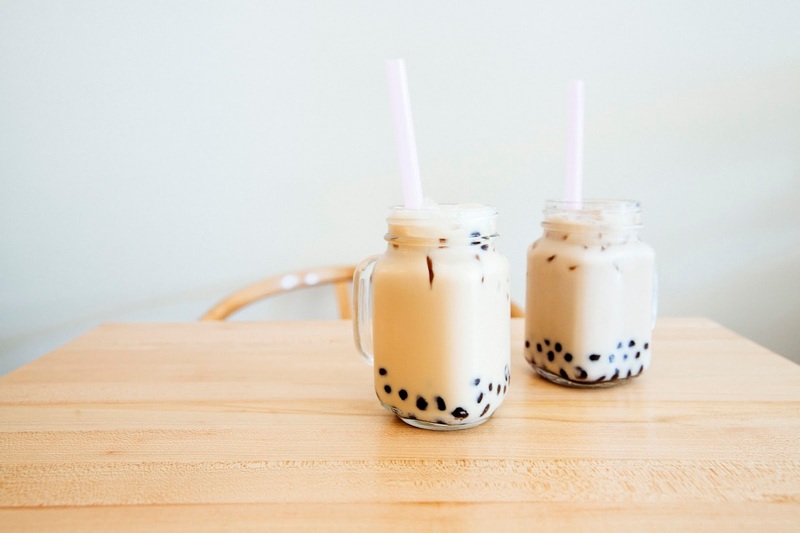 Tea Bar is a hip, modern tea shop serving tea lattes and boba drinks. 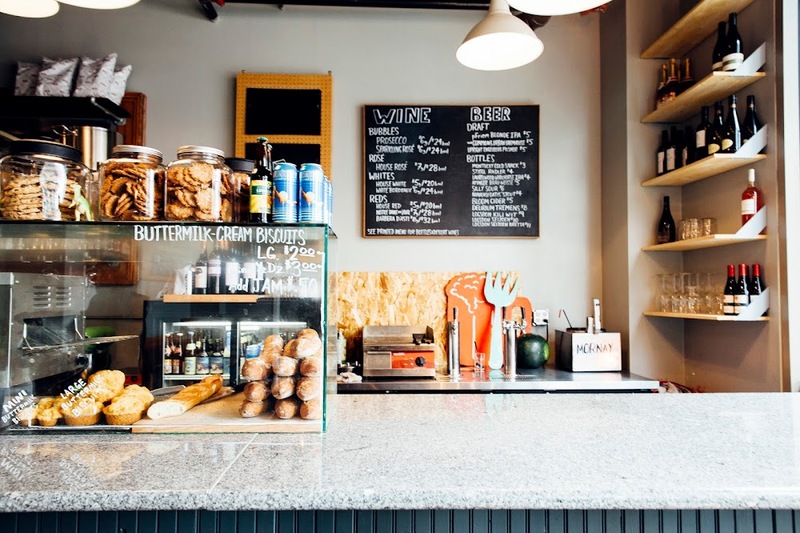 The space itself is beautiful (think: light and airy, with lots of white and pale wood), and the tea is high-quality, comforting, and delicious. 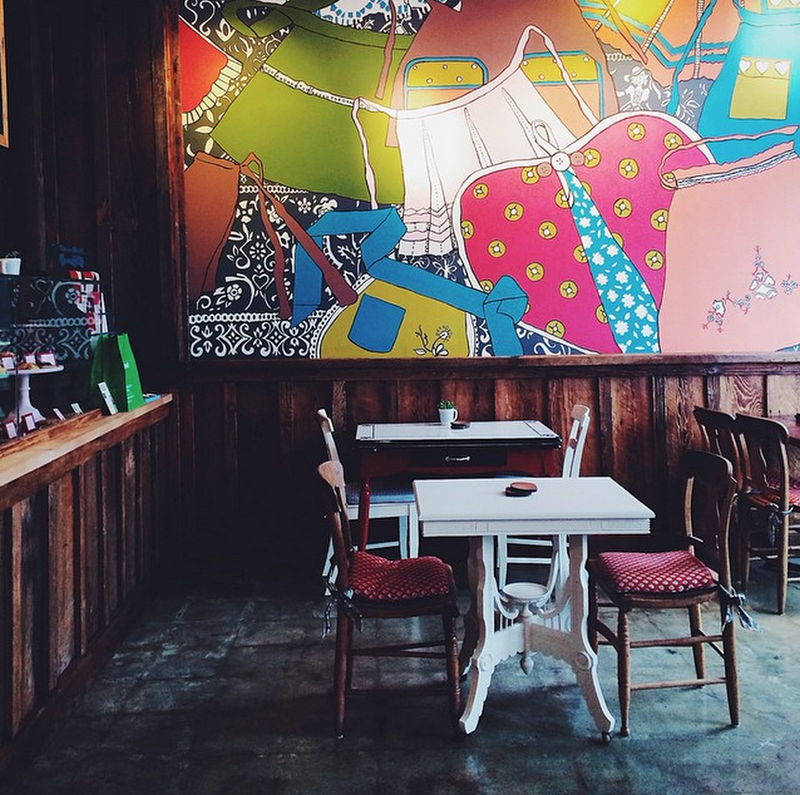 Go if you're looking to hang out somewhere low key, and enjoy their lattes and selection of hipster magazines. ORDER: All their tea is delicious as Tea Bar's owner took great pains to sample and source every single tea herself. I personally have a soft spot for their lattes, especially the London Fog (Earl Grey, with hints of lavender) and the honey assam. I also love their Hong Kong style (black tea, with sweetened condensed milk basically) iced boba tea.